IIUC, there is a self-referential ("auto-catalyzing") aspect to this method which is very interesting. 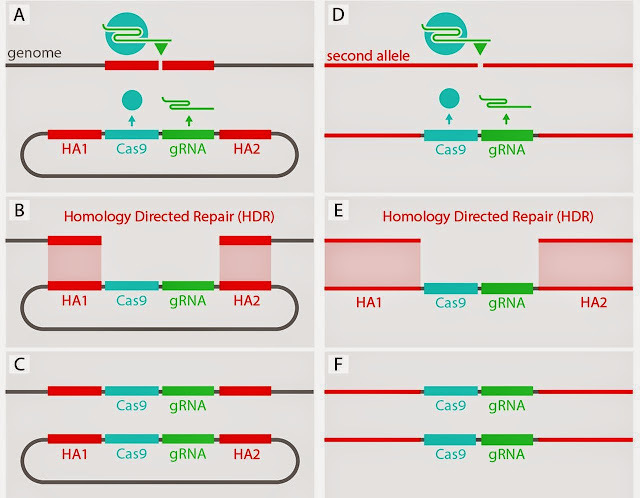 The Cas9 gene (payload) also encodes the guide RNA (target) information, which determines the location of the DNA cut. Needless to say, this is a very powerful and potentially dangerous technology. See also Regulating Gene Drives (Science). More on how to avoid making a gene drive: http://biorxiv.org/content/early/2015/04/01/017384. The following paper from Harvard's Wyss Institute (which also produced the video below) provides a nice overview of CRISPR gene drives. The paper appeared last summer. Abstract: Gene drives may be capable of addressing ecological problems by altering entire populations of wild organisms, but their use has remained largely theoretical due to technical constraints. Here we consider the potential for RNA-guided gene drives based on the CRISPR nuclease Cas9 to serve as a general method for spreading altered traits through wild populations over many generations. We detail likely capabilities, discuss limitations, and provide novel precautionary strategies to control the spread of gene drives and reverse genomic changes. The ability to edit populations of sexual species would offer substantial benefits to humanity and the environment. For example, RNA-guided gene drives could potentially prevent the spread of disease, support agriculture by reversing pesticide and herbicide resistance in insects and weeds, and control damaging invasive species. However, the possibility of unwanted ecological effects and near-certainty of spread across political borders demand careful assessment of each potential application. We call for thoughtful, inclusive, and well-informed public discussions to explore the responsible use of this currently theoretical technology. I wanted to respond here about threats to genetic diversity and red queen problems (among other unintended consequences), but I just can't given that today is April 1st. 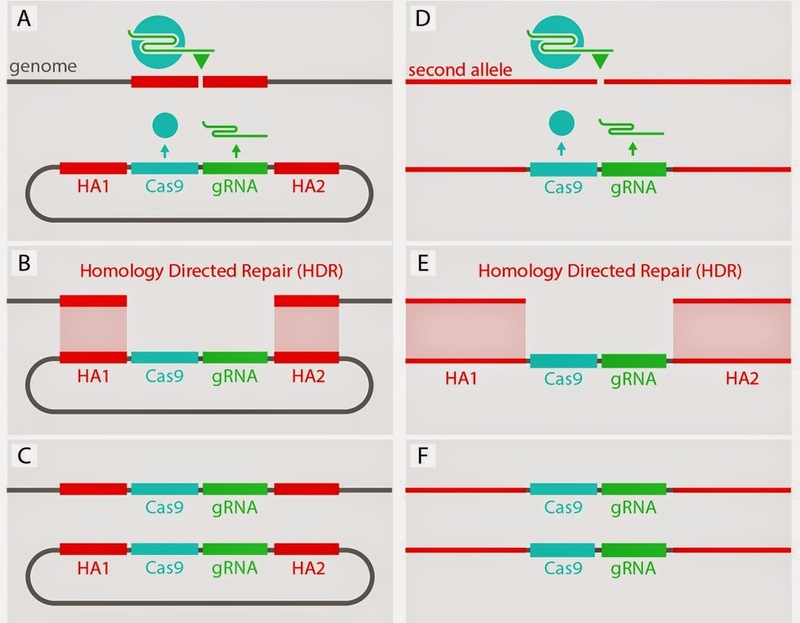 "avoid delivering the Cas9 gene on a DNA cassette that also encodes a guide RNA"